Because I have been so satisfied with the sales and service at this dealership, I just purchased my fifth Honda yesterday! Dave B.and Crystal greeted me at the time of my appointment to look at HRVs.Great customer service ...explained every bit of the transaction. Have never been disappointed in the service for all my vehicles. When needed, they have a free shuttle service, which comes in handy. And they are local! Tom Boland was excellent! he provided great customer service and gave us the help we needed. I recently bought a Preowned 2017 Honda Ridgeline from Steve G. He is very professional and knows his product well. Initially, I put down an impulsive deposit on the truck, slept on it and changed my mind. I went back to the dealership the following morning and they promptly refunded my deposit without a fuss. I thought about it some more and that same day, put the deposit back down and commit to purchasing the vehicle. The following day, I returned to complete the paperwork and drove home in my Ridgeline. During this part of the process Jim S., the used car manager, was involved and also very professional and accommodating. The whole process in total only took a couple hours of time at the dealership, and the truck was delivered with everything promised. I’m very happy with my purchase, the service level of Jim and Steve, and the overall experience. I highly recommend Honda of Watertown and more specifically Steve in preowned sales. Thank you to Steve and Jim. 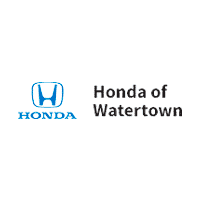 We recently purchased a used SUV from Vinny at Honda of Watertown and are happy with the purchase process. Vinny took his time and made sure the vehicle we selected fit our needs all without the high pressure tactics. When we need another vehicle, we'll return to Honda of Watertown and see Vinny again. Another dealer quoted a price through the Consumer Reports process that was $3000 (mistakenly, it seems) lower than any other dealer for the Ridgeline RTL-E that I was interested in. I took that price to Honda of Watertown and the BEAT IT by $100. They also gave us a very fair price for our trade in. They were very straight forward and there was no "let me speak to my manager". Overall, great to do business with.